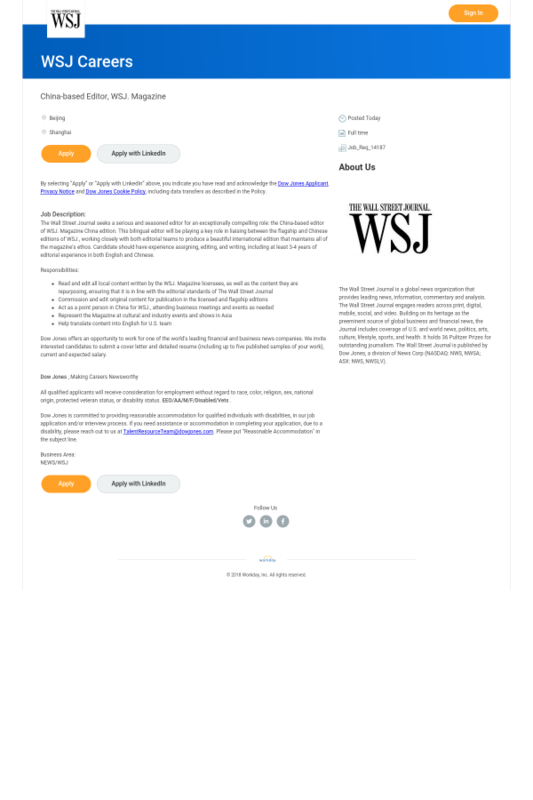 ​The Wall Street Journal seeks a serious and seasoned editor for an exceptionally compelling role: the China-based editor of WSJ. Magazine China edition. This bilingual editor will be playing a key role in liaising between the flagship and Chinese editions of WSJ., working closely with both editorial teams to produce a beautiful international edition that maintains all of the magazine's ethos. Candidate should have experience assigning, editing, and writing, including at least 3-4 years of editorial experience in both English and Chinese.